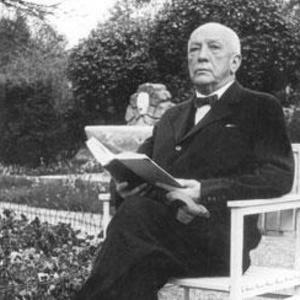 Richard Strauss (11th June 1864 ? 8th September 1949) was a German composer of the late romantic era, particularly noted for his tone poems and operas. He was also a noted conductor. Before and during the 1939-45 War, he was criticised as a Nazi sympathiser, and held an official (musical) post. This claim is not entirely accurate. He lost the job when he refused to remove the name of a Jewish librettist from a programme. He was also condemned for criticisms of the Nazi party. Before and during the 1939-45 War, he was criticised as a Nazi sympathiser, and held an official (musical) post. This claim is not entirely accurate. He lost the job when he refused to remove the name of a Jewish librettist from a programme. He was also condemned for criticisms of the Nazi party. He was thereafter denounced by the Nazi party, and he was forced to make concessions and submit to their will in order to save his family.